10:00 – 10:45 a.m. – Sunday School begins again for all ages! Parents can register children and youth for all of our programs using one registration form! Each child/youth will need to be registered separately using the same form. Go to upcch.org/register to register each child/youth for Sunday School, Nursery, Godly Play, Children’s Choir, Junior Choir, Kirk Club, PYC, Youth Choir, and/or Confirmation. We hope to see you for the first day of Sunday School! Sunday School classes for three-year-olds through second grade and sixth through eighth graders will be in the lower level. Sunday School classes for third through fifth graders will meet upstairs, and high school Sunday School will meet in the Campus Ministry Lounge. Sunday School registration will be open mid-August. 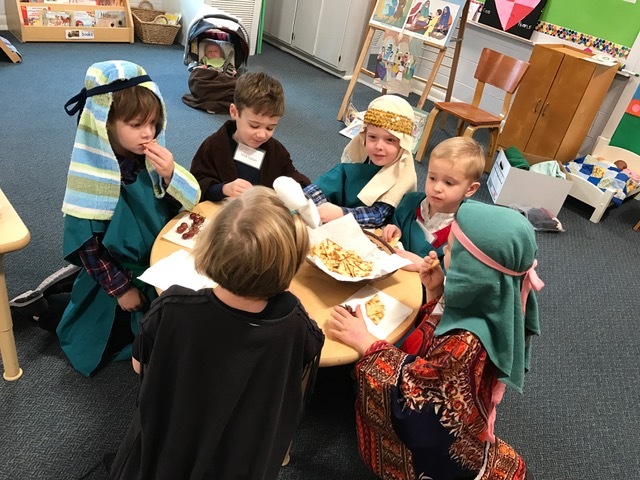 For questions about Sunday School programs related to children, please contact Nancy Myer, Staff Associate for Children’s Ministries, at nancy@upcch.org. For questions about Sunday School programs related to youth, please contact Kim McNeill, Staff Associate for Youth Ministries, at kim@upcch.org. We will gather in the Fellowship Hall after the 11:00 a.m. service, and the Administration Committee and Young Adults will co-host and provide a main dish and drinks. Those who attend are asked to bring a vegetable dish, a salad, or a dessert for approximately 12 people. Please be generous! All new members, visitors, and students are welcome without contribution. If possible, we ask members to add a label to your dish specifying allergens to help show hospitality to those with food allergies and other dietary needs. Labels such as “gluten free,” “contains peanuts/tree nuts” or “vegetarian” are helpful to ensure everyone can enjoy food and fellowship at church. We encourage you to come and enjoy the warm fellowship and delicious food. All are welcome!